Gosh it was hot. The 37-degree centigrade heat was baking the freshly-laid asphalt at the Aldenhoven proving ground with every passing minute and the sun was cooking the assembled English journalists' foreheads. But Jan Frank was as cool as the proverbial cucumber. He had little reason to be composed, though. 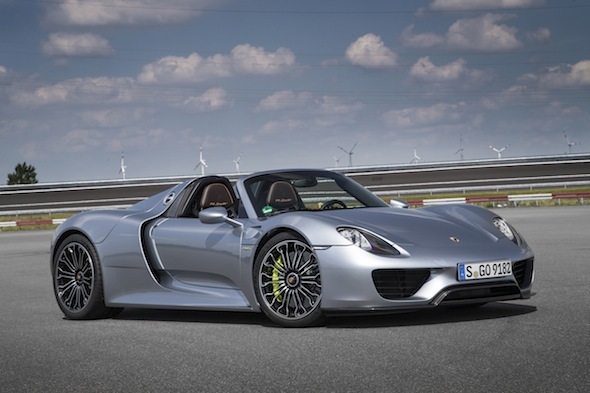 Like England, this part of north-west Germany was experiencing unusual levels of humidity and Frank was tasked with demonstrating the abilities of the new Porsche 918 Spyder to the hacks – scribblers who were all a little disgruntled at having to settle for a shotgun ride. However, I was thankful I wasn't given the keys to the £700k hypercar. Porsche could lay its hands on just two examples for this demonstration run, and knowing that my driving skills can barely handle horsepowers in triple figures, I was more than happy to sink into the chocolate brown leather passenger seat. Frank was as professional and chilled as you'd expect a Porsche test driver to be. A quick hand shake before the cameras rolled, he was a consummate professional in an interview situation. Questions were asked in a slightly high-pitched tone from me and an efficient reply was given. He knew everything there was to know about this hybrid monster. 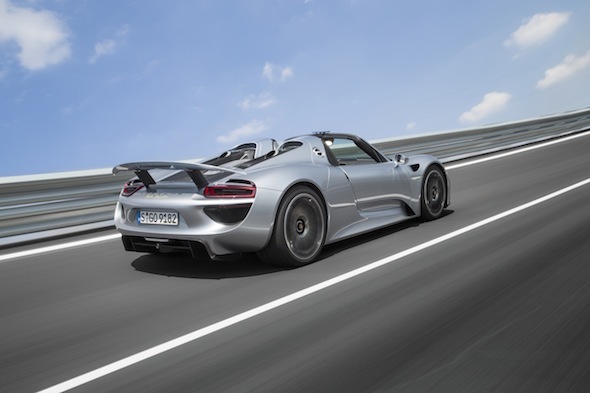 Frank used the Aldenhoven track to demonstrate all of the 918's technology. There was the 0-60mph test (which saw me almost make a mess in my pants), the overboost test (which saw me whoop with delight) and the all-electric test (which saw me open-mouthed). It was clear, however, that Frank wasn't even touching 10 per cent' of the car's abilities. To him it was like popping down to the shops in a Volkswagen Polo Bluemotion. At the end of the drive and once the cameras were switched off, he parked up 'our' silver 918 and strode casually to another. This one, decked in a matt black wrap and Martini stickers sitting, idling for his drive. "I've got the worst job in the world," he shouts over to me. "I'm now off to southern Germany. Wish me luck!"